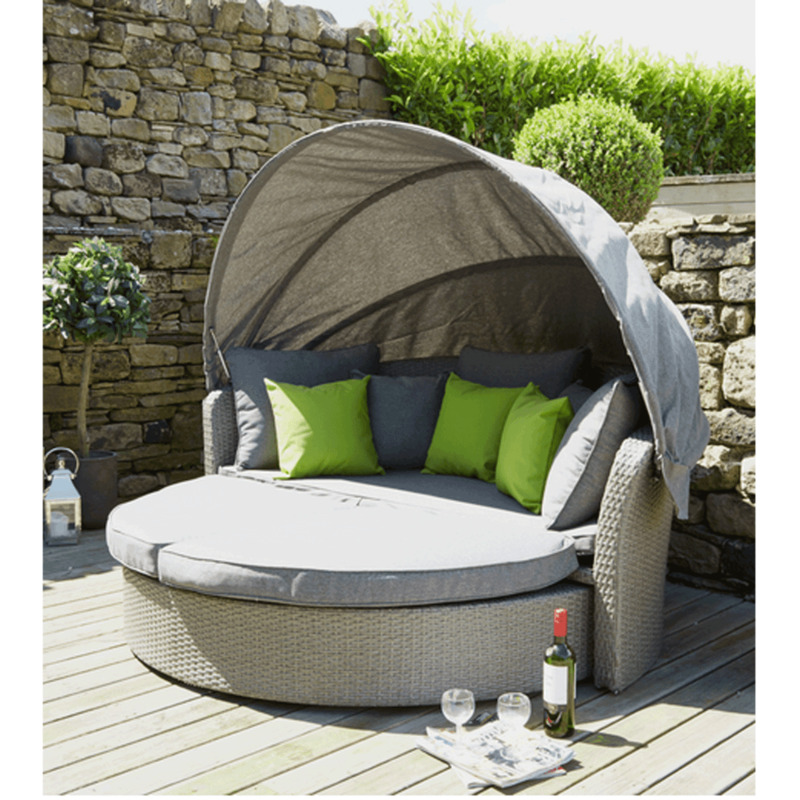 Dove Grey Flat Weave Cayman Day Bed: Make the most of your outdoor space with this stunning dove grey flat weave cayman day bed. relax in luxury and stay protected from the sun under the adjustable giant canopy. The base of the bed is mounted on wheels for easy manoeuvring and storage. The all-weather, UV protected flat weave rattan is resistant to fading and fraying, ensuring your day bed keeps looking its best for longer. Treating the aluminium frame with a premium powder coating provides exceptional protection against rust and corrosion. Incredibly comfortable, showerproof charcoal cushions mean you don’t have to worry about them getting wet in a sudden downpour and can be easily wiped clean with a damp sponge.